That Venezuela is essentially a dollar economy is one of those statements of the obvious that is useful when it comes to exposing as wildly false much of what’s thought to be true about money. Venezuela disproves much of what the monetary mystics believe about what they plainly don’t understand. To see why this is true, it’s useful to stress yet again that no one exchanges money. While we Americans use dollars to buy things, and while Venezuelans similarly utilize the greenback to fulfill their consumptive needs, all transactions are about products for products. Behind every purchase is production of another good or service that enables the purchase. Applied to Venezuela, its dollarized existence exposes Gresham’s Law as anything but. The latter presumes that bad money pushes out good whereby the more valuable monetary form will gradually disappear as the one lacking credibility is used to liquefy transactions. The previous falsehood is accepted wisdom in the economics profession, but it’s also utter nonsense. Implicit in what’s blindingly obtuse is that someone in possession of tangible goods and services would accept discredited paper money for those goods and services. What a laugh. Economists don’t even pretend to be serious anymore. Blinded by simplistic theory that has no real-world applications, they don’t understand that all production is an expression of demand. Since it is, no producer is going to offer up something of market value in return for paper of questionable value, and that is losing value all the time. And that would be exchangeable for little to nothing. All of the above explains why the dollar increasingly liquefies what’s left of Venezuela’s economy. Precisely because the dollar is accepted around the world, it’s the currency of choice in Venezuela over the collapsed bolivar. The dollar is far from perfect as this column regularly points out, but it’s an acceptable medium of exchange. Gresham’s Law is backwards; in the actual world of commerce good money always and everywhere drives out the bad. All of what’s previously been said will hopefully vivify the laughable notion of central banks and so-called “money supply.” Monetary mystics who claim a free-market orientation (they call themselves “monetarists” or “market monetarists”) believe that the Federal Reserve and other central banks should control the supply of money in circulation. The view is that in controlling it, central banks can shrink so-called supply when the economy’s booming, and increase it when the economy is weak as a way of tamping down inflation and deflation. Readers familiar with the Phillips Curve thinking that animates Keynesian thought probably recognize the monetarist view of the world. It's the Keynesian view merely turned inside out. It’s one that similarly embraces the impoverishing notion of economic growth defined by "speed limits" beyond which inflation breaks out; the difference being that “free market” monetarists think "excess" or "easy" money supply is what powers the alleged economic excess. Keynesians would stop inflation through tax hikes, while monetarists would stop it through reduced "money supply." You can't make this up! Back to reality, the conceit that says central bankers can plan money supply is as boneheaded as the one that says politicians can plan production. Stating what should be obvious, money in circulation is an effect of production. Where production is abundant, so is money abundant to facilitate exchange of products for products. Reducing what’s basic to what is basic, it’s not by coincidence that Manhattan is filled to the brim with dollars, while neighboring Newark is relatively bereft of same. Central banks didn’t plan this, nor did governments. Money is everywhere in Manhattan simply because there’s so much production to exchange, and it’s relatively scarce in Newark precisely because there’s comparatively little production that rates exchange. Looking at this through the prism of Venezuela, there are dollars there because bolivars aren’t trusted as a medium of exchange for those who have goods and services to sell. That greenbacks increasingly liquefy Venezuelan commerce is to some degree an effect of production outside of Venezuela whereby those who escaped the socialist paradise send dollars earned to those who stayed. The crucial point here is that it’s still products for products; the consumption taking place inside Venezuela a consequence of production outside of it. The Fed didn’t plan this “money supply” in Venezuela, but the country’s partially working markets did. Because there are goods to exchange in Venezuela, there are dollars there. If commerce ever grounds to a halt there in total, dollar “supply” will shrink. Money supply flows to where trade is, as opposed to it being an instigator of same. All of which leads us to the false notion of “money shortages.” Supposedly the Fed can engineer shortages of dollars stateside, but all one need do to cure oneself of such delusions is to imagine the Fed dropping billions into a locale to reverse the alleged “shortage.” Imagine it doing so in crushingly impoverished Marianna, AR. The billions would depart almost as quickly as they arrived. Either citizens would use the money to exit the town themselves, or they’d spend it only for the money to be banked. The latter would ensure a departure of the funds simply because lending and investment opportunities within Ola are slim. In Venezuela there’s seemingly a dollar shortage now, but it’s a consequence of a lack of productivity; or better yet a lack of goods and services to facilitate exchange of. Assuming more economic freedom, readers can bet that the supply of dollars circulating in Venezuela will surge to reflect this. Central banks cannot create monetary abundance as much as production makes it an inevitability. That’s why readers should scoff at commentary about sparse dollar supply. There’s no such thing. There’s only sparse production that is made apparent through a reduced amount of dollars. What about “easy money”? There’s yet again no such thing. Implicit in the notion of “easy money” is we trade anything other than products, services and labor. But we don’t. “Easy money” connotes money that’s hurtling toward debasement, which means it’s gradually going to disappear from any economy to reflect a lack of trust in its exchangeability. Dollars can command goods and services in Caracas, but destroyed bolivars increasingly cannot. "Easy money" is nowhere. The positive news is that it’s expected that Venezuelan emigrants will send $4B home in 2019, versus $1.9 billion in 2018. This is a happy sign. 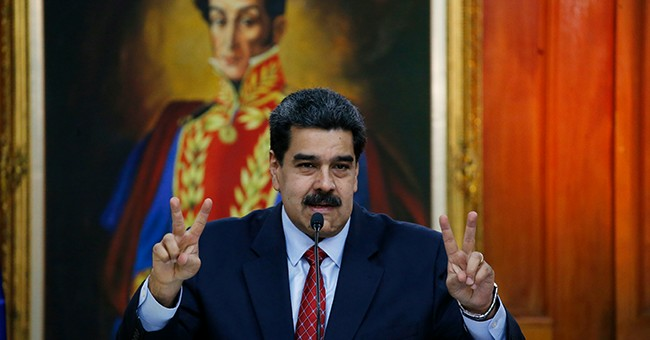 That dollars are flowing into the wrecked country is evidence that the profit motivated are figuring out ways to work around the Maduro regime’s policy errors such that $4T will find a consumptive purpose in a country long defined by scarcity. Good. Production, both inside and outside Venezuela has plainly proven a magnet for the money that enables exchange. Venezuela’s dollarization signals better times ahead.